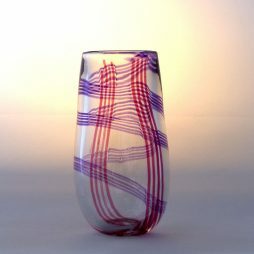 Andrew and David have worked together for over thirty years since they found a common interest in blown glass while training on a multi-disciplinary design course at North Staffordshire Polytechnic. 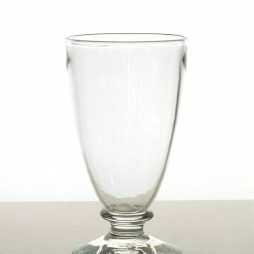 Glass as a material has been in existence for at least 4000 years, the earliest artefacts being either carved or press moulded. However, it was discovered in Syria about 50BC that molten glass could be blown into a bubble from which a hollow vessel could be fashioned. 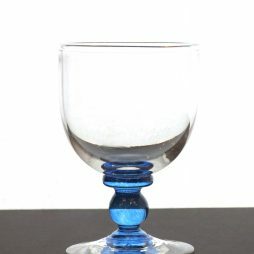 It was the Romans who first developed this simple idea into a highly skilled craft utilising the inherent qualities of molten glass for their decorative techniques. The techniques and equipment Andrew and David use have changed little since the invention of the glassblowing process, simple metal and wooden tools being used to apply decoration and manipulate the glass. 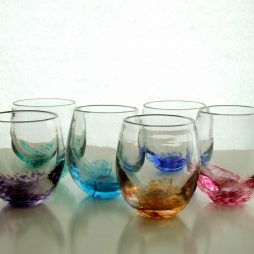 Decoration in the form of molten glass, both clear and coloured, is applied during the making process. 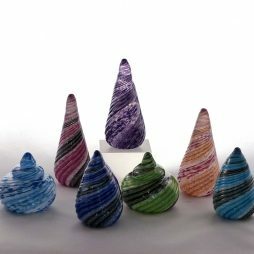 Some of the pieces they produce are sprayed with a chemical solution which is introduced to the flame of the furnace giving a delicate iridescence. 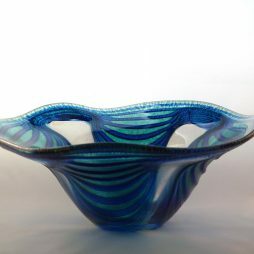 Andrew and David work together using traditional glassmaking techniques and recycled glass, producing a broad range of highly individual handmade decorative glassware including vases, bowls, bottles and drinking glasses. 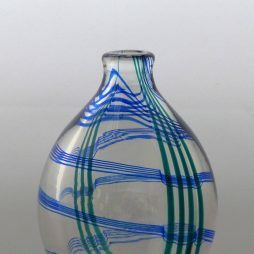 In 2012 Andrew and David were specially commissioned to make a perfume bottle which was presented to the Queen to celebrate her Jubilee year.